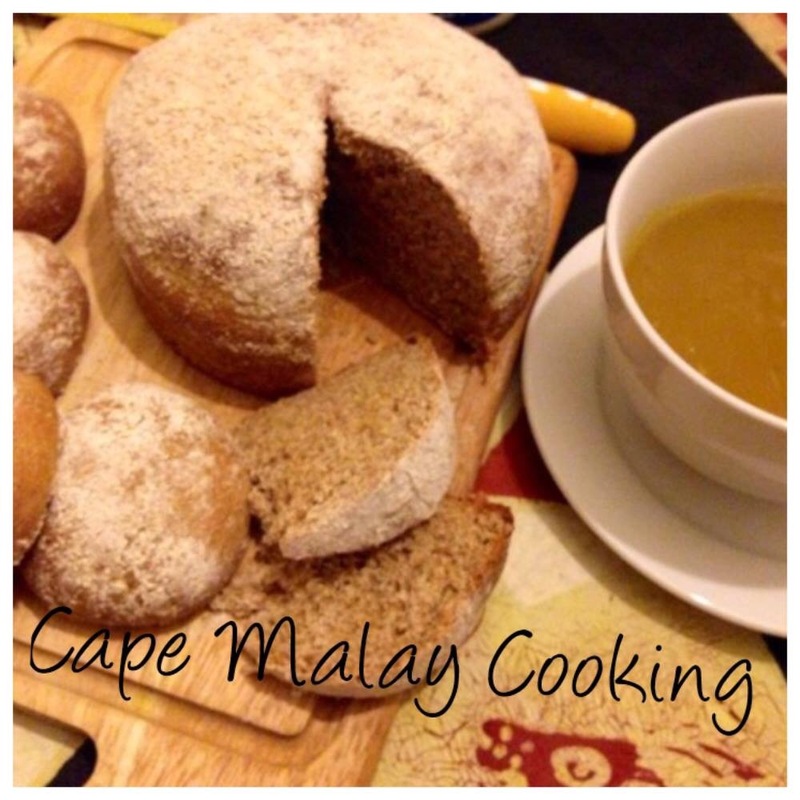 Wholemeal Bread Salwaa Smith - Cape Malay Cooking & Other Delights From My Kitchen To Yours - keeping our traditions alive! Nothing beats homemade bread straight from the oven. I remember my mom kneading bread every Sunday morning so it can be ready for supper. We'll have it with polony, cheese, spiced beef or left over roast chicken from lunch. Fond memories of the good old days! 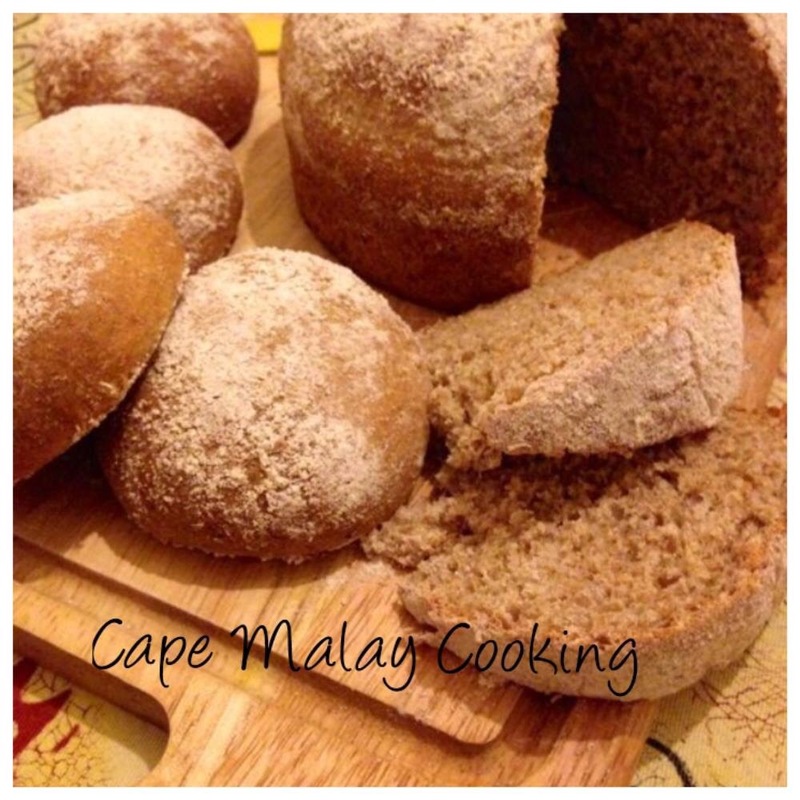 [caption id="attachment_43077" align="aligncenter" width="720"] Wholemeal Bread[/caption] Ingredients: 4 1/2 cups wholemeal bread flour 1 & 1/2 tspsalt 2 tsps light brown sugar 1 packet instant yeast (7g) About 1 & 1/2 - 2 cups of lukewarm water Method: Tip the flour into a large mixing bowl and all you do is simply sprinkle on the salt, sugar and yeast, mix these together thoroughly, make a well in the center and pour in the lukewarm water. Mix the warm liquid into the flour gradually to form a dough (the exact amount of water you'll need will depend on the flour) You can use you hands or a wooden spoon. I prefer using my hands. it is better to have too much water than too little. Finish off by mixing with your hands until you have a smooth dough that leaves the bowl clean – there should be no bits of flour or dough remaining on the sides of the bowl. Cover the mixing bowl with a clean plastic bag or cling film and leave to rest in a warm place until double in size. Knock the dough down, now transfer the dough to a flat surface and stretch it out into an oblong. Now fit the dough into the tin, pressing it firmly all round the edges so that the top will already be slightly rounded. Next, sprinkle the surface with a generous dusting of flour, then cover the tin with a damp, clean tea cloth and leave to rise in a warm place for 30-40 minutes or at room temperature for about an hour. If you're making 2 loaves, divide the dough in half before following the steps above and folding it into the tins. Meanwhile, pre-heat the oven to 200°C. When the dough has risen to the top of the bread tin or tins, bake the bread for 40 minutes for the big loaf tin or 30 minutes if you using 2 small loaf tins. When the bread is cooked, turn it out on to a cloth to protect your hands – it will sound hollow when rapped underneath with your knuckles. 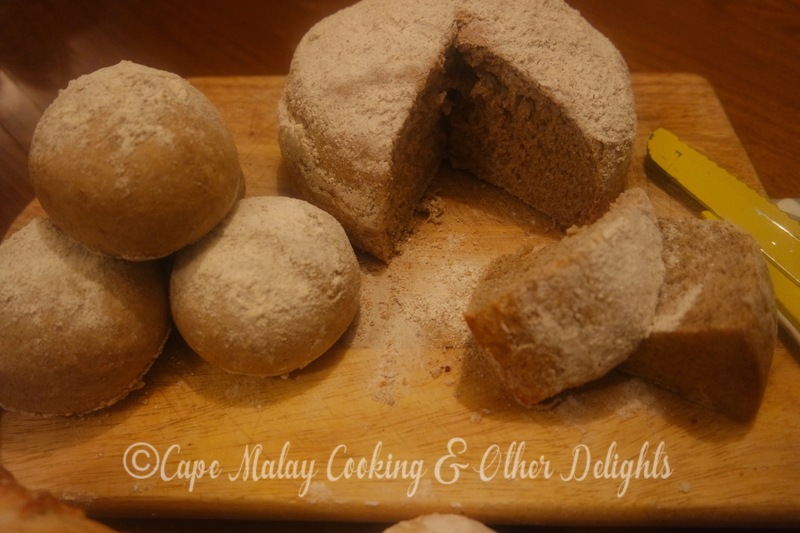 Cool the bread on a wire rack and enjoy with toppings of your choice :) Or serve with your favourite bowl of soup Cook's Tip: Makes 1 large loaf or 2 small loaves I made one round loaf using a round cake tin and made bread rolls with the left over dough.